Jumping and an excellent working hunter, driving. Will be trained in western. 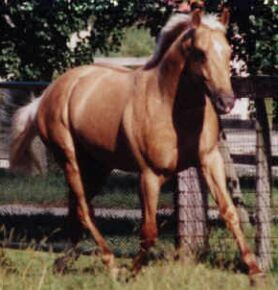 Childs pony-also great brood mare with winning blood lines. By Time to Zip it Up, out of Not Exactly Monday. 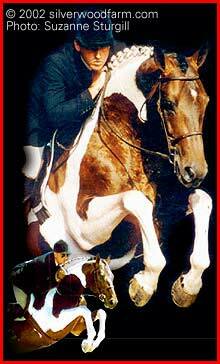 Will be trained for racing and jumping(when finished racing). By Electric Avenue, out of Towering Darkness. Wonderful temperament never stops, no jump too high. beautiful paces great Eventer and Working Hunter. Has lived with her twin 'Chantelle' since birth. Jumping, Cross country and Dressage at Prix St. George's level. She is very kind and willing, never stops at a jump. Has lived with her twin 'Esmerelda' since birth. Excellent young horse with future as an eventer, jumper or stud.